Today we are going to look at the Money story of Mr. Rajat Agarwal. 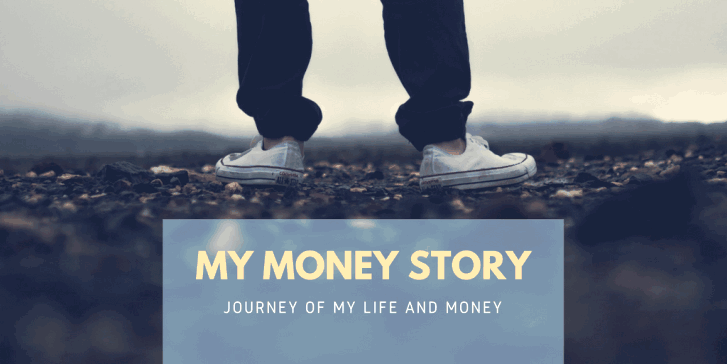 He has been kind enough to share his story in detail and we all will learn some important aspects of financial life from his sharing. I was born in 1982 into a wealthy Marwari joint business family, with combined sales of about ~5500 Crs (as of 2017). My father retuned to India in 1980 after completing his MBA from University of Austin, Texas and was asked by my grandfather to start an aluminum extrusion company, which was founded in 1981. The aluminium business was in addition to the joint family’s other businesses like – Transportation, Gases, Steel, Power etc. My mother was from an average middle class family which helped keep my brother and I grounded in reality while growing up. Even though we had domestic help all the time, we were taught to do our work on our own and not depend on anyone for daily chores. My father always made it a point to schedule monthly short vacations and longer annual international vacations and spend a lot of time with the family each evening – playing cricket, watching movies, taking us for sports activities etc. As it was a joint family (until the late 90’s), we did have a budget to adhere to, but it was more than sufficient to have a comfortable upbringing. We never splurged on luxury items – the only cars we had back then were Maruti’s and a Contessa. Having said that, my father never compromised on vacations wherein we used to always stay in the best of hotels and fly business class to international destinations. 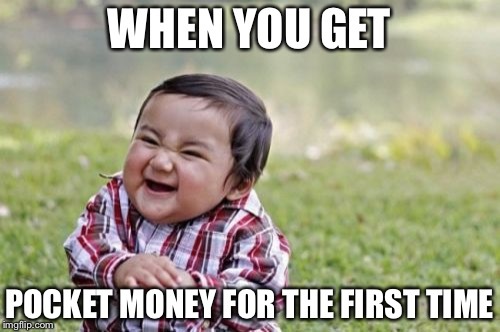 I started getting my first pocket money once I graduated high school and started college. This is the first time I experienced the joy and thrill of money and what it actually symbolized. Until then, everything was provided for and I had never felt the need to ask/save money. I had the same experience after completing my undergrad degree in 2004 in Boston, USA. My father made it clear that from this point on, I would have to provide for myself. This was one of the most stressful periods I had experienced till date. I spent weeks doing interviews and a few part-time jobs, until I finally landed my first full-time consulting job after 3 months of graduation. I was working 10-12 hours a day, hardly meeting friends and spending my weekends just trying to recover from the gruelling week. Though it was really hard and painful at the time, it turned out to be a blessing in disguise, as it prepared me for the tough times that was just around the corner. After working for 4 years in the consulting role, I returned to India in 2008, joined the family business and started working under my father. Based on my experience with money in the US, I was adamant that I will draw a salary based on my education, experience, market trend etc and will pay for all my personal expenses other than housing as I was still living under the same roof as my parents. This is also the time I got married, which again is a life-changing experience and taught me a lot more about money than I had hoped for! Due to various events between 2008-2011 the aluminum division was declared a NPA overnight, resulting in our selling the company 100% to a Japanese conglomerate by 2013. This entire experience of losing most of the family wealth overnight and having to sell the company and my house in Bangalore, which I had bought in 2008 upon my return, further made me realize the importance of savings. My father never separated business and personal finance and therefore after almost 30 years of running a business, he did not have any personal savings to fall back on. I was glad that I made the right call in 2008 of drawing a salary and keeping my personal income personal. I had started reading Jagoinvestor around 2010 and was following a disciplined investment approach through SIPs in Mutual Funds, Gold ETFs, PPF etc. Most importantly as I was drawing a formal salary based on my worth, the Japanese acknowledge this during the transition and made me an attractive offer to stay back as a Director for India looking after daily operations. My first experience with money was when I started getting my pocket money after high school. Then in 2004 when I started my first job and again in 2013 after having sold the aluminium business and going from a promoter-director to a salaried director. I don’t harbor any specific fantasies about money and realize that it’s a means to an end. Yes, money needs to be appreciated, valued and respected. It is important to save for the future and have an emergency fund. 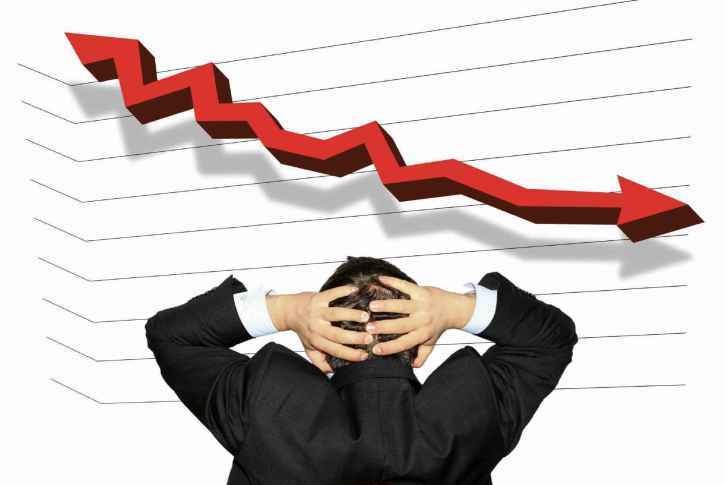 It is important to be aware of the reality that nothing lasts forever and one can lose assets, jobs, health overnight. Being able to lead a healthy, comfortable and dignified life and giving back to society is what is most important. Unfortunately, the world we live in today, does not give us the luxury to harbor idealistic beliefs such as this. Money is and will always be the most important thing in life as it akin to the blood in our veins or the oxygen in the air. Both my parents always respected money and never splurged on wants. However, they used to always tip heavily at restaurants, travel tours, domestic help etc and it gave me the feeling that they never had a desire to accumulate wealth. 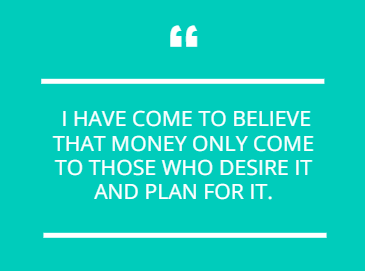 I have come to believe that money/ wealth only come to those who desire it and plan for it. In both phases of life, I knew that money was and is important, as it was the only way I could fulfill my needs and wants. It’s just that when I was in high school, my inability to fulfill my needs and wants effected only me and now when I am 35, it affects my family, domestic help or anyone dependent on me. As one grows older, the number of people dependent on us also increases and so does the importance of money! How do I look towards people having more or less money? I think less/more is a function of income/expenditure and savings/growth. It’s a very subjective notion. For example, I know people living contently earning 50,000/month and earning 50,00,000/month. Each one is wired differently and if one has the desire to grow financially, they need to make a conscious sustained effort and not leave it to chance. I think one the biggest mistakes people make is wait a lot and not start saving at a younger age! I know so many people at the age of 21-25 who are starting their first jobs and they just don’t believe in or understand the concept of savings. I think its a big mistake! If you cant save much, thats fine, but atleast start with some amount and start building the discipline. In the US for example, parents demand that their kids start paying for their own expenses from the age of 16 and by the time they are adults, most of them come to appreciate the magic of savings and compounding! How money is linked with happiness? How I’m feeling after writing my money story? Writing my money story makes me more determined in continuing on my path of spending intelligently and looking for more ways in which I can contribute to today’s youth who are just joining the job market by helping them understand the value and the various avenues available to them for saving and investing. I thank Mr Rajat to share his story on this platform. Hope everyone has learned a lot from his story. Very nice story, Money is everything, Early saving is the best way for building better finance strength in future. Great story! Thanks for sharing it Jago Investor. Its a wise decision to start saving as early as possible and be a disciplined investor. Thanks for your comment BiggPocket .. Please keep sharing your views like this.. Very inspiring story to save as early as possible. People are not understanding the magic of compounding. I am thanking to Rajat to motivate us to save as much as you can. Yes, it is definitely a good story. In this present world money is everything. Thanks for your comment Edge Fintrack Capital .. Please keep sharing your views like this..